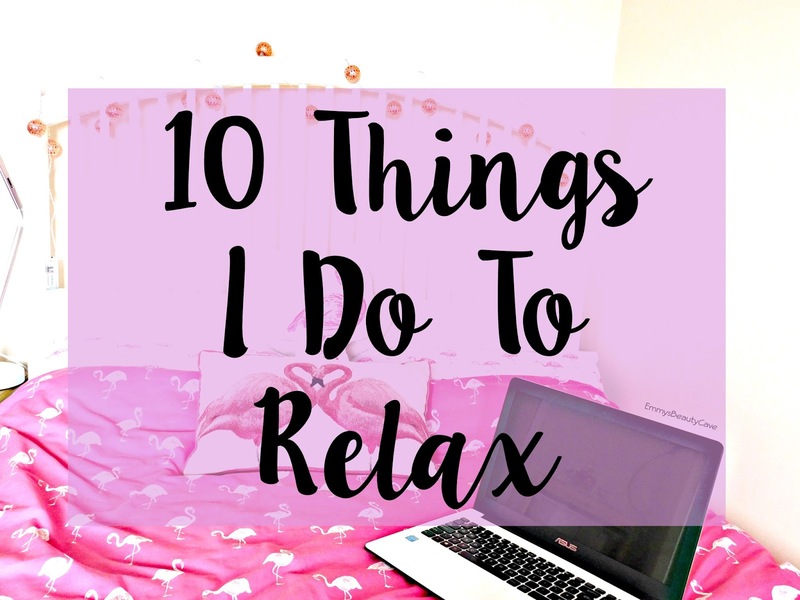 Trying to relax is one of the hardest things especially when you are stressed or suffer with anxiety. As most of you know for the past 2 years I haven't been mobile, I have been in wheelchairs, bed bound and not able to work due to surgeries and by being house bound this long it has made my anxiety worse than it used to be. I am in pain constantly and trying to relax can be really difficult. There are ten things I find help relax me and hopefully they may relax you too! #1. Music | Music is a big one for me. I literally listen to music all the time whether im doing my makeup, tidying my room, blogging, cleaning, music is always on. When im stressed or trying to relax I have two playlists set up on my own. I have one full of more quiet songs and one full of upbeat songs. Depending how I feel I will play one of these and it always helps me to relax. #2. Nails | I self taught myself about five years ago how to do my own gel nails using false nail tips and all the gel bits and bobs. I always find doing my nails relaxes me as it makes you focus on something and forget everything else. #3. Colouring | Alot of people will think it is for kids which honestly I did until I tried it. Cuddling up on the sofa colouring relaxes me alot. Again it makes you focus on something and it will also bring back childhood memories which will make you feel good. I got my colouring books from Asda, they sell adult versions with floral designs, animals and more. #4. Go For a Walk | I don't mean a massive walk where you can't breathe and feel knackered. I mean go for a short little walk at a slow pace, whether it is on your own, with someone or a pet. A slow walk somewhere you love is a perfect way to relax and take in beautiful scenery. #5. Bath | A nice hot bath with plenty of bubbles is the perfect way to relax. I especially find it relaxing when I put some music on and light some candles. Setting the scene is the first step to relaxing. #7. Sims 4 | Playing a game can help you relax. I personally like to play the Sims 4 on my laptop. I can get lost for hours building and designing a house and not even realise how much time has gone buy. #9. Online Shopping | Oh I do love a good shop. Browsing sites looking at clothes or makeup makes me happy. Whether I just browse and bookmark things I want or if I actually buy something either way it relaxes me and makes me feel good.